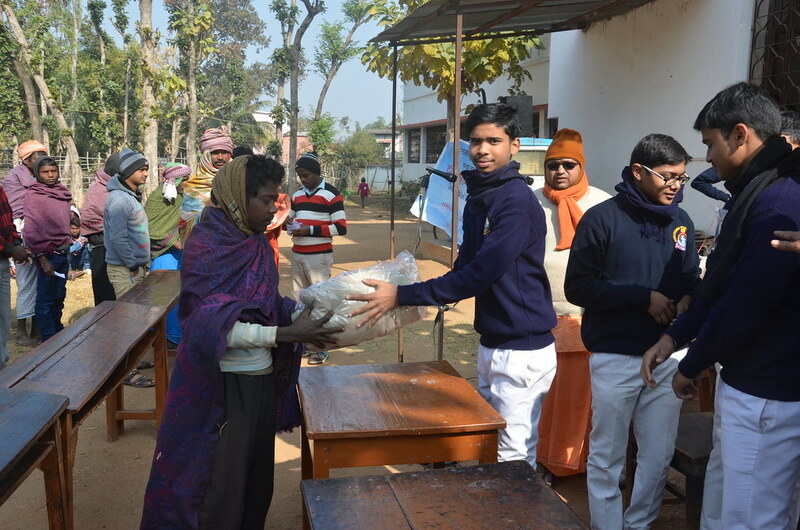 As with the earlier years Vidyapith conducted Old garments-distribution during 02 January, 2018 to 21 January, 2018. Altogether 494 Belt, 1218 Blazer, 310 Jacket, 1188 Shirts, 205 Sweaters, 190 Sweat Shirt, 1973 Trousers, 118 T-Shirt, 47 Wills Men Jacket, 1668 Wills Men Shirt, 11 Wills Men Sweater, 1376 Wills Trouser, 807 Wills T- Shirt, 1021 Women Dress, 83 Women Jeagins, 252 Women Leg-ins, 1065 Women Shirt and 586 Women Trousers were distributed among poor people of Deoghar and remote villages. 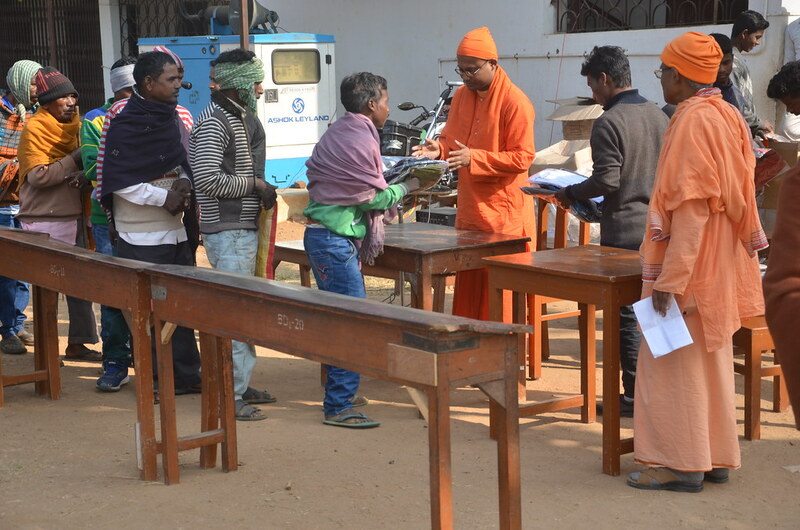 More than 4150 devotees and needy people were fed during the Nara-Narayana Seva on the occasions of Mahastami Day, Saraswati Puja, Sri Ramakrishna’s Tithi Puja, Sri Sarada Devi’s Tithi Puja, and Swami Vivekananda’s Tithi Puja. 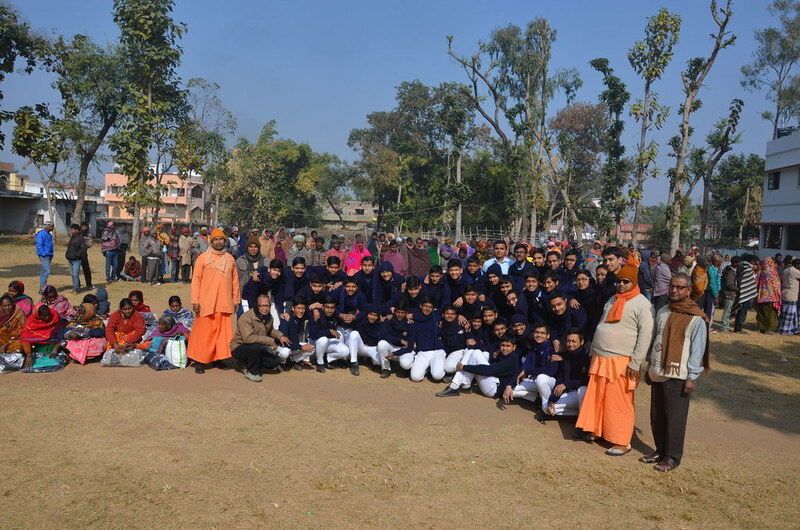 Ex-students of Ramakrishna Mission Vidyapith, Deoghar participated in a Medical Camp at Khapchua Village, Mohanpur Block on the outskirts of Deoghar Town on 09 February 2018. A total of about 600 patients attended the camp. 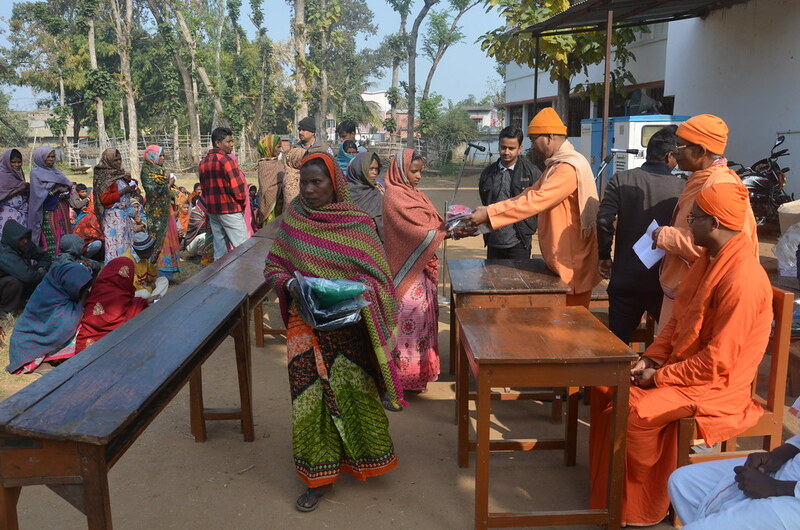 A total of 1500 persons of the area were served lunch on that day. Lunch and medicine were sponsored by Vidyapith Praktani.